The first hoop earrings I ever saw were worn by an infant—she can’t have been two. She was a neighbor’s child, and the neighbor was Italian-American. The ethnicity is relevant because her ears were pierced, and I had never seen anybody that young with pierced ears. My lobes were still intact, and I was nearly ten. When I told my mother, she wasn’t surprised. “Italians do that,” she said, the subtext being that Jews did not. I got my ears pierced at 12. I had to beg my parents, who relented only when I agreed to have a surgeon do it. My father, a doctor, did not approve of places like the Piercing Pagoda in the mall, but the Piercing Pagoda would have done a better job—the surgeon’s holes were lopsided. (I eventually had to have one ear redone.) I wore chaste little posts. But in the late 60s, my hair got longer and so did my earrings. The earrings above were my first hoops, though arguably they are not true hoops because they dangle below the ears rather than piercing them. They were given to me by the character actor Hans Conried. (Yes, you know him. Uncle Tonoose on Make Room for Daddy. The voice of Snidely Whiplash, Captain Hook and countless other animated villains.) He was appearing in a play called Spofford in the summer of 1969, and I, a teenage theater apprentice, was his dresser. (I didn’t actually dress him, just handed him stuff from the wings.) I adored him. I filled his dressing room with wildflowers. (“It looks like a Mafia funeral in here,” he said.) He admired my various hippie-girl earrings, called me Crazy Lady, and presented me with these hoops at the end of the week. They’re one of my favorite gifts ever. I stopped wearing hoops when I entered the working world. My thick, straight hair was wrong for them, and so, somehow, was my persona. I never wore earrings that dangled, and after a while I stopped wearing earrings at all. But when I got older and cut my hair, my lobes looked naked. Earrings came back into my life. But not hoops—until a few years ago . . .
. . . when my husband, who loves bargains more than life, found a discounted pair of gold Reinstein Ross hoops on eBay. They came with a bunch of dangling charms, and the charms turned out to be affordable. So of course I acquired more. Above, the current wardrobe of hoops and charms. You’ll note there’s a second, smaller pair of hoops, made by my jeweler friend Rae Anne, who has a shop on Etsy. (Rae Anne also made the charms at lower right with yellow diamonds bezeled in gold.) Nor did I stop there. 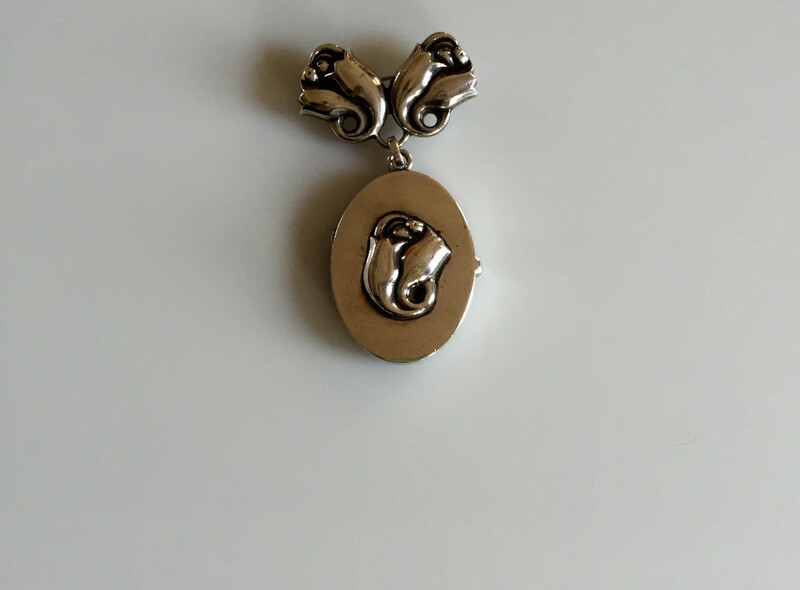 My husband, hunting for more bargains, found some charms on eBay that turned out to be set in white gold. So of course I had to get white gold hoops too. White 18K gold baby hoops and charms from Reinstein Ross. I particularly like the color of their white gold. As hoops go, these are small and ladylike. But hey—why be ladylike? Hoops are primal, universal, the Ur-earring. The perfect hoop, if such a thing exists, is a worthy object of desire. My friend Abbie Kozolchyk, who literally wrote the book on the world’s most romantic travel destinations, became obsessed with the gold hoops worn in multiples by women in Nepal, and managed to talk a local jeweler into making her a pair. Which he did—entirely by hand—while she waited in his home, playing with his son and drinking tea with his wife. Watch her slideshow to see how perfect they were. And it’s a good thing they were perfect, because she couldn’t take them off: the ends were crimped together with pliers. She wore them for years before having a jeweler remove them. I too became obsessed with the perfect hoops, but I am no traveler. My search took me no farther than Etsy, where a shop called 2TrickPony makes paragons of hoops in various shapes, sizes and finishes. Here are mine, in hand-hammered gold. They make silver hoops, too. They’re real Gypsy Girl hoops, aren’t they? I might have thought they were too young for me, or too large—but I’ve decided I’m at an age when I can wear whatever the hell I want. Why shouldn’t I? Why shouldn’t you? The earrings above are connected semi-circles, not hoops. But from a distance, they look like three little hoops in a row—an edgy look made easy for a person with just one piercing. They’re by Paige Novick, who does all kinds of neat tricks with hoops. I’m starting to have real fun with this. The super-skinny earrings at left above—mere suggestions of hoops—are by the designer Kathleen Whitaker and come from Quiet Storms in Brooklyn. The chunky ones on the right—hollow, not nearly as heavy as they look—are from jtv.com. My newest and largest hoops, hand-beaded with a row of black spinel for sparkle, are hoops with a purpose. They’re from Same Sky, an organization that lifts women out of poverty in Rwanda and the U.S. by teaching them the craft of jewelry making. And very wearable and sophisticated jewelry it is. You can buy pieces from this collection on the Same Sky web site. I bought my hoops—and some iridescent beaded bracelets and glittery black spinel necklaces—at a Same Sky event in Manhattan. I was deeply impressed with these artisans. But it wasn’t just the good cause that made me buy. The jewelry is fabulous. Iridescent beaded bracelets from Same Sky. I couldn’t resist. My mother liked long dangly earrings. I liked hoops when I was young. But I saw the holes in my mother’s pierced ears getting bigger and longer with the weight of the earrings. I didn’t like it one bit. So I stopped wearing any earrings that might pull at the holes, and settled for little studs and sometimes tiny flowers. Occasionally I put on some huge dangly thing or a pair of hoops and feel ineffably flamboyant. But I’m an introvert. Flamboyant is not me.